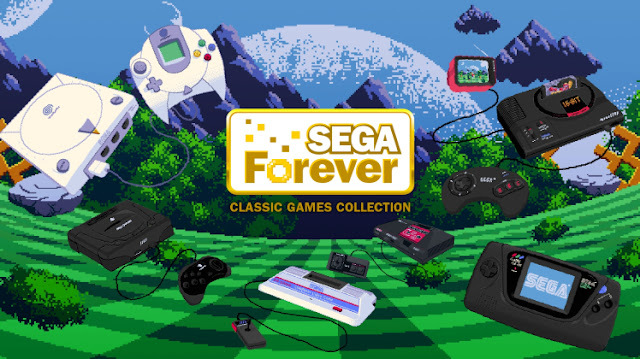 Sega Forever is an app that is building a growing library of your favorite classic Sega games. The games are absolutely free if you don't mind ads but you can remove those ads for just $2 bucks a game. The games will support cloud storage, controller support, leaderboards, and more. The launch line-up will be added to Google Play and the App Store starting tomorrow and will include Sonic the Hedgehog, Phantasy Star II, Comix Zone, Kid Chameleon, and Altered Beast. Sega is promising to new games to the SEGA Forever collection every two weeks. As you can see from the promo artwork above they are showing all the Sega consoles so we can hope we get a wide variety of games in the near future from all the years of Sega history.